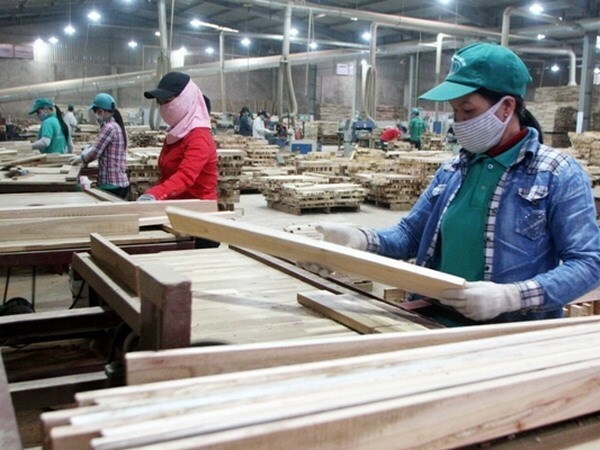 In 2019, Vietnam’s wood and forestry industry aims to gross 10.5 billion USD in exports, up 1.2 billion USD compared to the previous year. This is a relatively high target as the entire agricultural sector set a goal of a yearly increase of 3 billion USD. However, Deputy Minister of Agriculture and Rural Development Ha Cong Tuan said it is completely feasible. The forestry sector hit 9.3 billion USD in export turnover in 2018, surpassing the target of 9 billion USD ordered by Prime Minister Nguyen Xuan Phuc. This is considered a premise for the sector’s export growth not only in 2019 but also beyond, Tuan said. At a conference devising plans for rapid and sustainable development of the wood and forestry industry in August 2018, the PM required the sector to become a spearhead in production and exports of Vietnam in the next 10 years. Another goal is turning Vietnam into a global leading centre in the production, processing and export of wood and forest products, the Government leader said. Vietnamese wood and timber products make up 6 percent of global market share, ranking second in Asia and fifth in the world. Domestically, this group of products has surpassed seafood to become the sixth largest export commodity of Vietnam. The development of the wood and forestry sector is also shown by its presence in more than 120 countries and territories. Forestry exports, especially wood and timber products, have recorded two-digit growth over the past decade. The outcomes were significantly attributable to 4,500 businesses, including nearly 1,900 export firms. Notably, Vietnamese firms surpassed foreign-invested ones, contributing 5.3 billion USD to the total 9.3 billion USD in export turnover in 2018. According to Tuan, the success of the sector was also due to the Government’s policies to boost investment in this field and reject illegal wood.